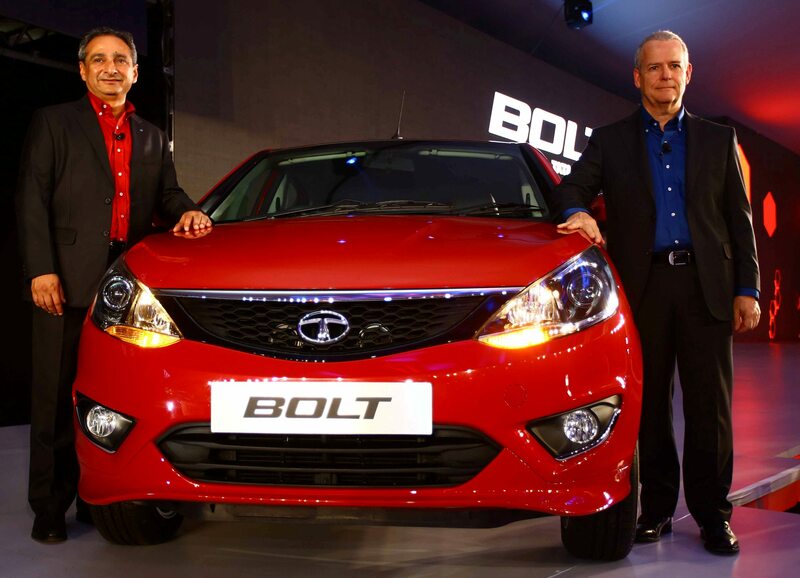 Tata has unveiled the Bolt hatch in New Delhi a couple of hours ago. 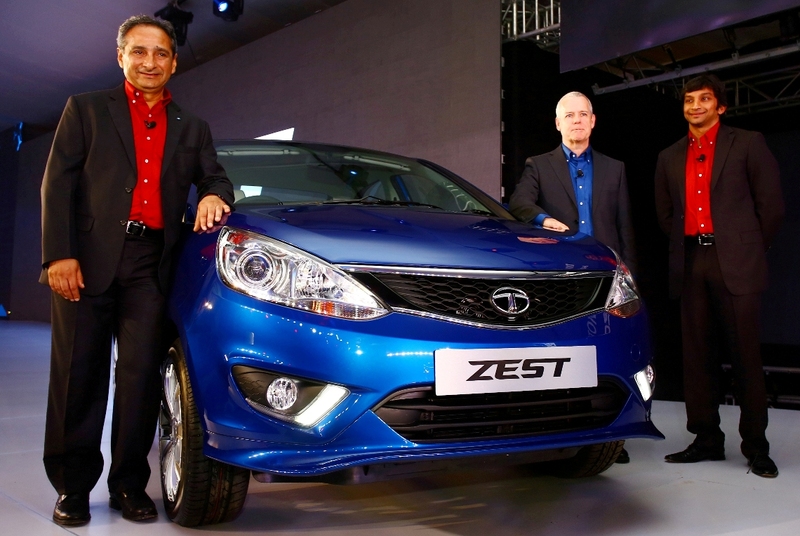 The company also showcased a sub 4-meter sedan, based on the Bolt hatch, named as the Zest. The name, Bolt, according to the company, signifies an attitude to win and stay ahead. The Bolt silhouettes the current Vista but some design changes on the exterior as well as the interior differentiate it from the old car. 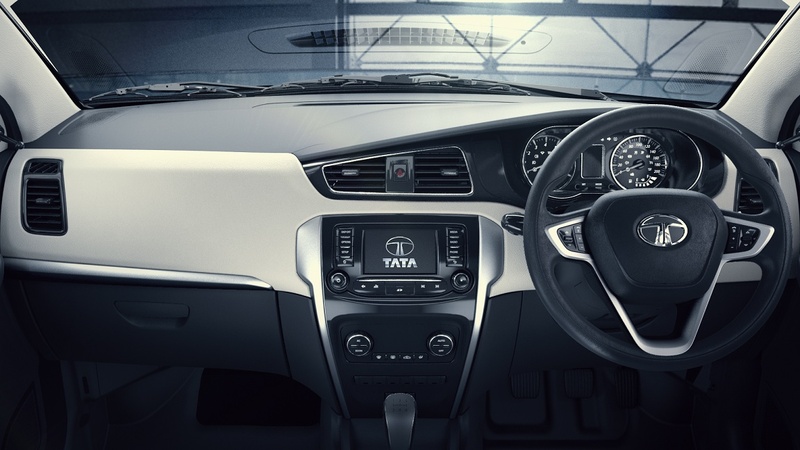 Outside, the new grille with the chrome insert, TATA calls it the Humanity Line, and large projector headlamps adorn the front of the car. The new bumper design may look similar to some Hyundais but it does make the Bolt look aggressive. At the back, the huge vertical pillar of lights make way for a very modern looking smaller bunch of lights. On the inside the car gets an all new Harman infotainment system which is to be controlled via a 5-inch touch screen. The touch controls will work for Bluetooth connectivity, smartphone integration. Phone enabled navigation is the highlight of this system. other features include social media integration and voice recognition system. 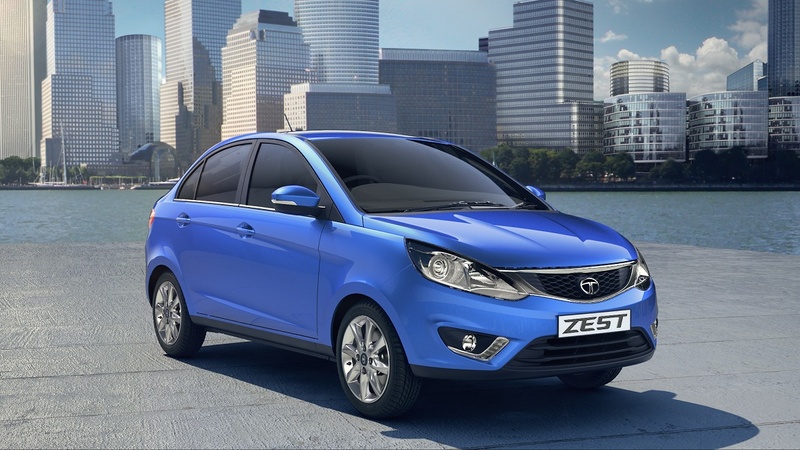 The Zest sedan is a derivative of the Bolt and we can see the similarities. Both the cars now ride on a better suspension system for a better ride and handling. The company has opted for an electronic Power Steering system on both the new cars. The EPS was developed by ZF and it will aid in easier manouvering. Gearbox options will include a new automated manual transmission (AMT), which the company calls F-Tronic. 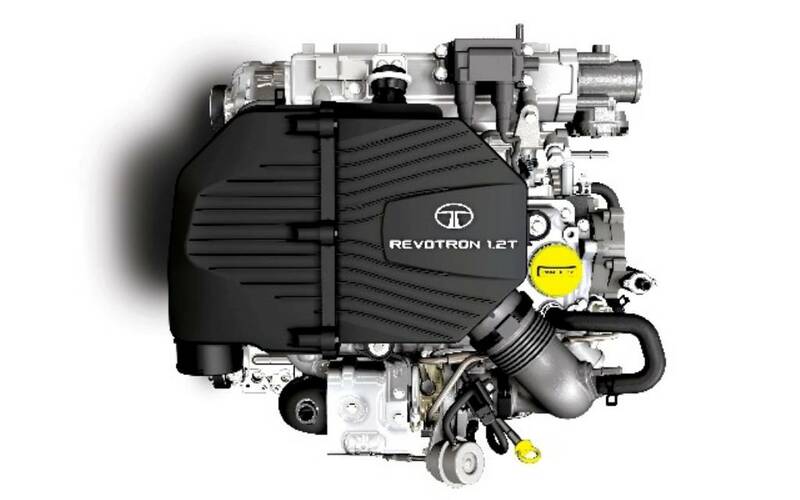 Both the cars will be powered by TATA`s all new Revotron Petrol Engine. The engine will produce 85ps of max power at 5000 rpm with 140 Nm of Torque between 1750 – 3000 rpm. The Diesel version is Fiat`s 1.3 litre QuadraJet which will belt out 90 ps of power @ 4,000 rpm and 200 Nm of torque between 1750-3000 rpm. The Zest dimensions are ( L x W x H) 3995 mm x 1695 mm x 1570 mm. The Zest weighs 1,106 kg and comes with a 44 liter fuel tank. Expect both the cars to be available within this year for Indian customers.